Speed is more important than ever before. From delivering a unique user experience to gaining visibility on search engines, your WordPress blog’s loading time weighs heavy across the board. WP Speed of Light is our WordPress companion that is in charge of helping you optimize your website. Recently, it received a minor update with some major introductions, most notably lazy loading, and that means that it is time for a tour of the plugin’s new features. No one likes a sluggish experience, and believe it or not, Google is no exception. In an effort to simulate a typical user’s experience and the evolving internet usage, the search engine giant will now also start considering mobile site speed in its ranking. In short, improving your blog’s SEO now goes beyond the content. Lazy loading is a performance-geared solution with a simple principle at heart - delivering the content that is needed and nothing more. In practice, this means content loads gradually as a user scrolls through your website. The result is a performance boost both for search engines and your users alike without degrading the experience. The performance-optimizing feature was recently introduced to Joomla through Speed Cache. Now, WP Speed of Light Addon’s subscribers will be happy to hear that lazy loading has also made it to WordPress. On WordPress, lazy loading is concerned with images - usually suspect in degrading performance due to their sizes. Lazy loading can be enabled from WP Speed of Light’s speed optimization page, under the speedup tab. When enabled, the WordPress plugin only loads images if and when the user needs them. The result of a single flip of a switch is a smoother experience for your readership, and a boost to your search engine ranking. With time, Wordpress is not only becoming more robust, but also feature-rich. For example, WordPress allows you to convey your emotions better thanks to the now-universal language of emojis, or fetch author images from Gravatar. Although shiny, under the hood these features incur additional performance costs. For emojis, the images - however small - indicate extra requests that browsers have to make to retrieve and show them. The same can be said of the Gravatar images - a slow process that is exacerbated by the fact that the images are hosted remotely. Sometimes, there is only so much that you can do to improve your WordPress blog’s loading times. In such cases, it can be exasperating to still suffer with a lower search engine ranking. Not to worry, WP Speed of Light Addon has added provisions to alleviate your woes in the form of asynchronous loading. What is that? As you can probably imagine, asynchronous loading results in much faster loading times, even though the webpage is not complete right away. The direct consequence is a higher ranking on search engines like Google. Search engine optimization is not a black-and-white area. The checklist can be overwhelming at times, even with tools like Google Lighthouse. 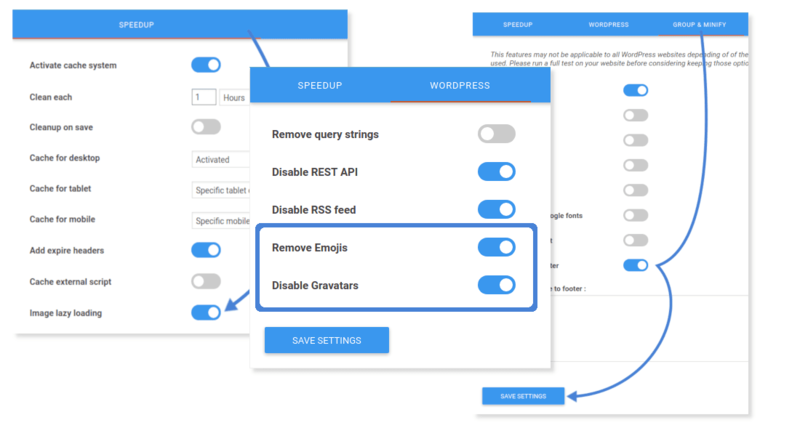 Through its new tools, WP Speed of Light Addon takes you by the hand and helps you ensure that your WordPress website is ready for Google’s upcoming mobile site speed update.